TimeZone : Sales Corner » Tight Rolex Oyster Sea-Dweller Stainless Steel 93160 SEL bracelet RARE A Clasp $650 Shipped! 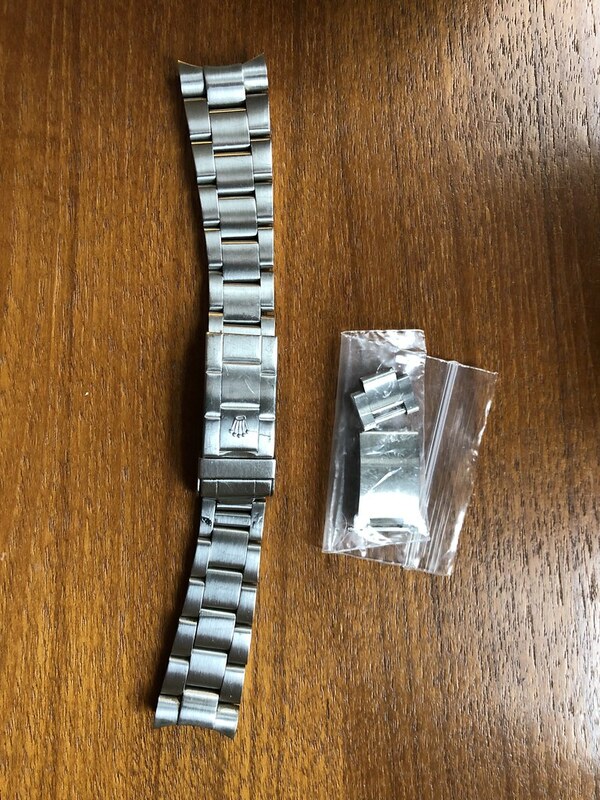 Up for sale is a rare and super tight 93160 bracelet with 592 SEL end pieces for a Rolex Sea Dweller. In impeccable condition and ready to install on your Sea Dweller. The clasp is very nice and likely a replacement, as the clasp code is "A" representing late 1970's. This clasp alone is rare and difficult to find. Comes with 12 links in total + the diver extension. Most of these bracelets are fairly stretched, so don't miss out on an opportunity to buy a very nice one.